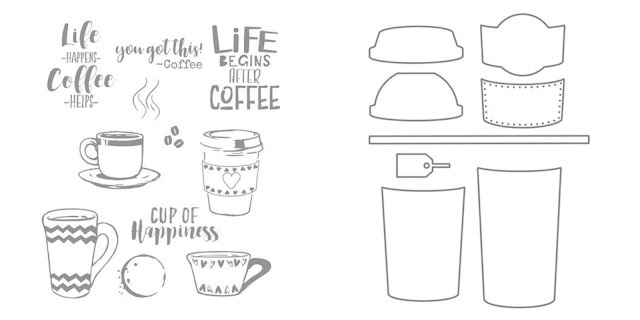 Hello and Happy Monday! 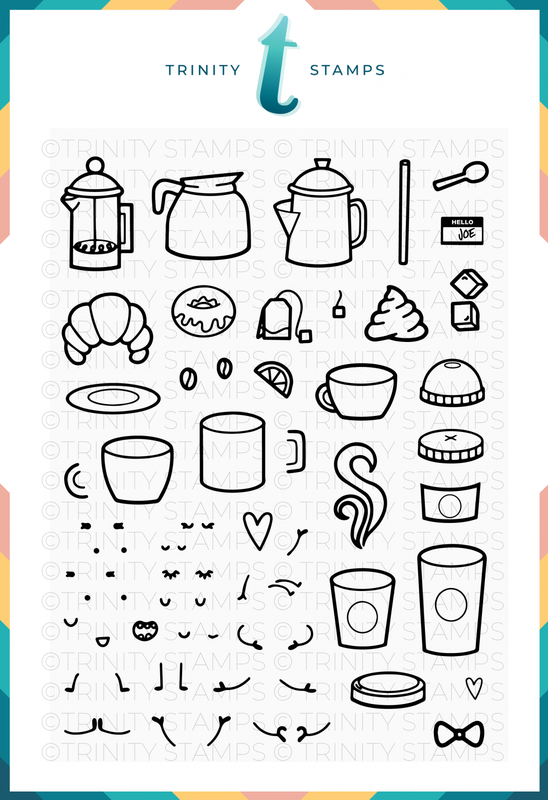 Can you believe that tomorrow is the last day of the month?! I can't believe we're already heading into the month of August! 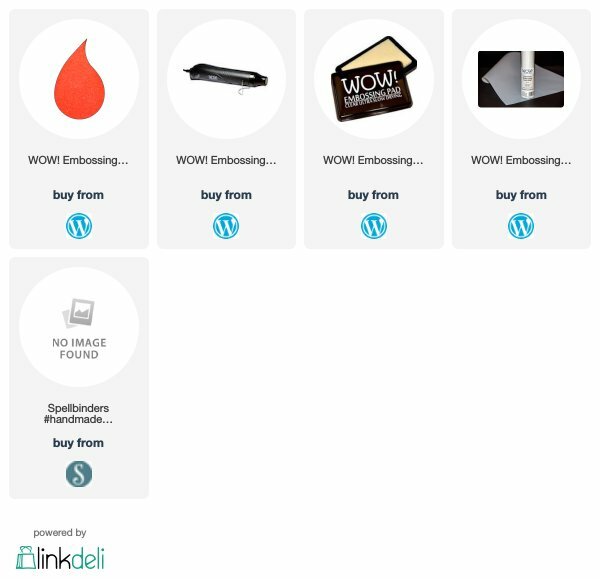 This is my final post for WOW! Embossing Powders. 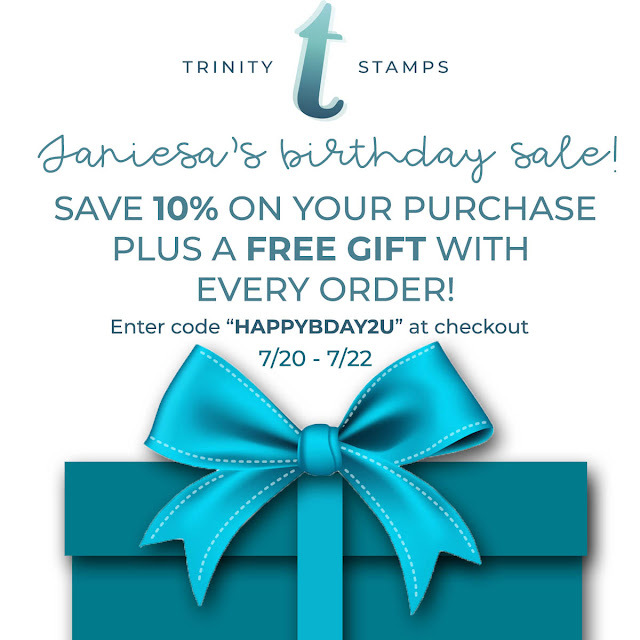 I wanted to give them another big shout out! 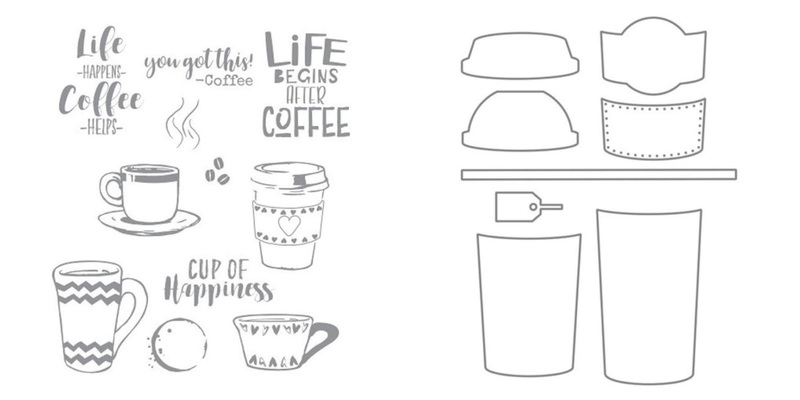 Most of you know me as a clean + crisp designer and this project certainly falls into that category. 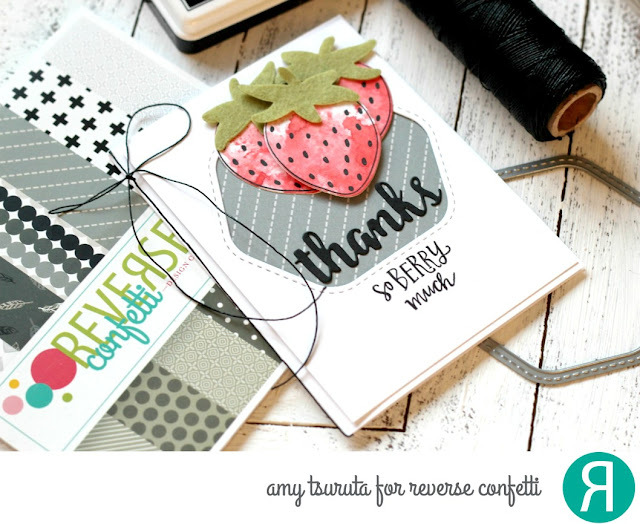 I wanted to play with the #Handmade stamps Sew Sweet Collection by Tammy Tutterow that my friends at Spellbinders sent me! I used the Metalline Flame on white cardstock. 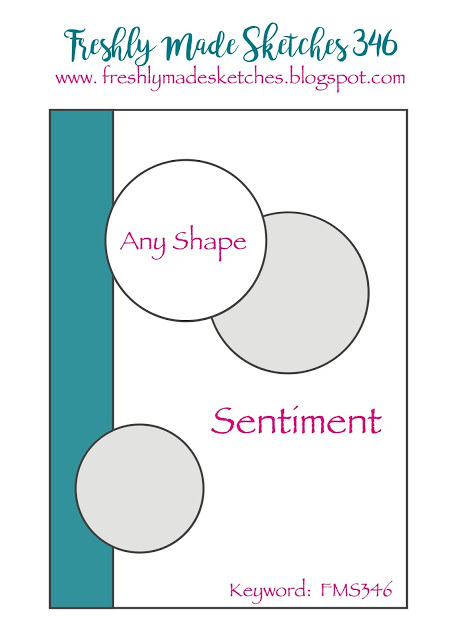 It really shows off the wonderful sentiment, doesn't it? I designed this card especially for one of Darin's aunts that is an avid quilter. We have one of her beautiful pieces of art on our bed. Her work is truly amazing. Thanks so much for stopping by, have an awesome week! 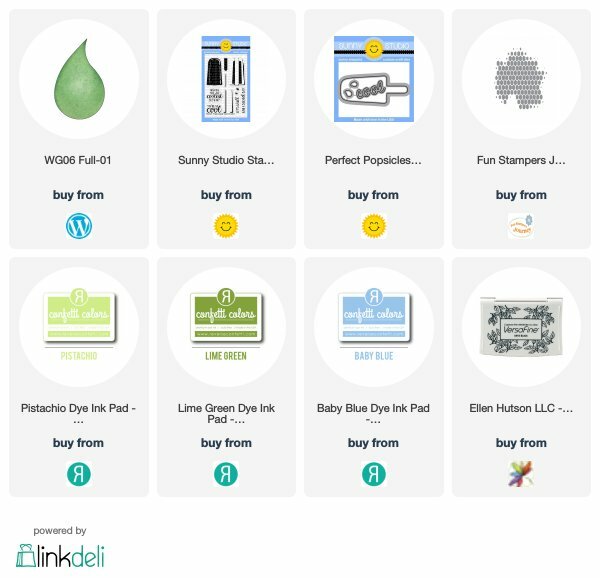 Some links may be affiliate at no extra cost to you. A super big Thank You to WOW! Embossing for having me as a Guest Designer this month! I had so much fun! Coffee Loving Cardmakers + STAMPlorations Collaboration Blog Hop! Hello and Happy Friday! We're so excited to be hopping with STAMPlorations today! You should have arrived here from the Coffee Loving Cardmaker's Blog. 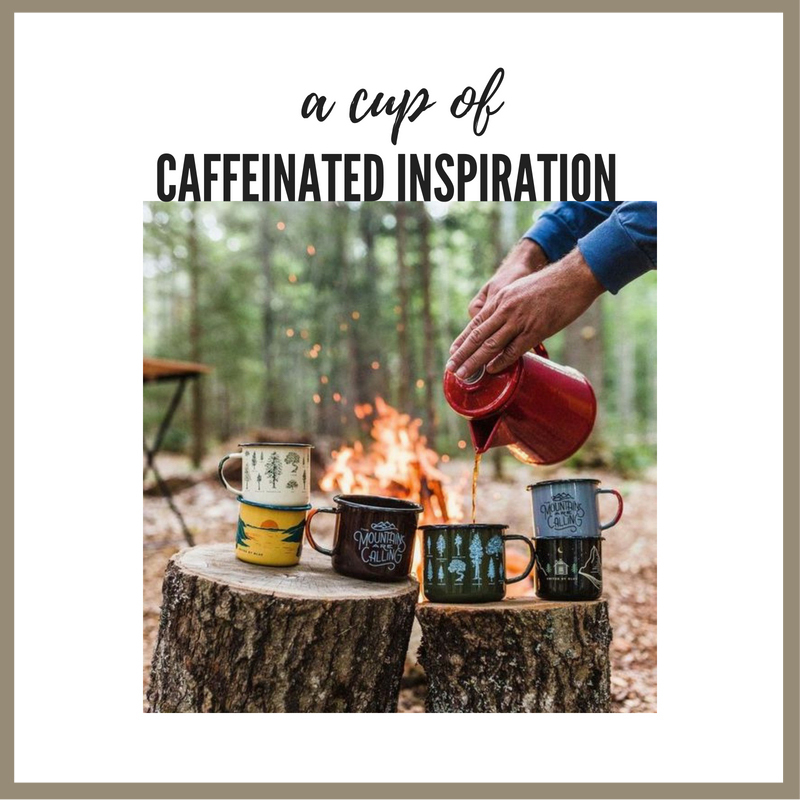 If not, you'll want to start at the STAMPlorations blog where the fun starts! 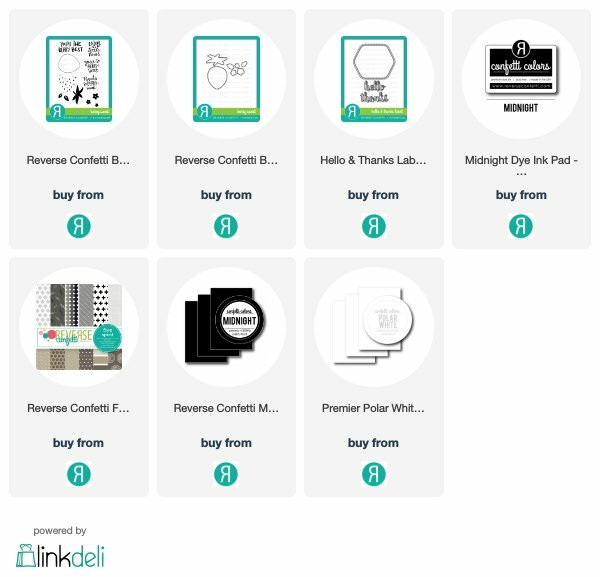 I'm sharing two projects so let's get started! My first project features the new Zen Coffee 2 Cover Plate. Isn't it GORGEOUS?! 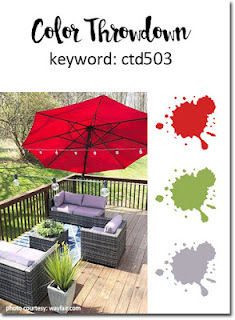 The details is amazing and you can have so much fun playing with different color combos. 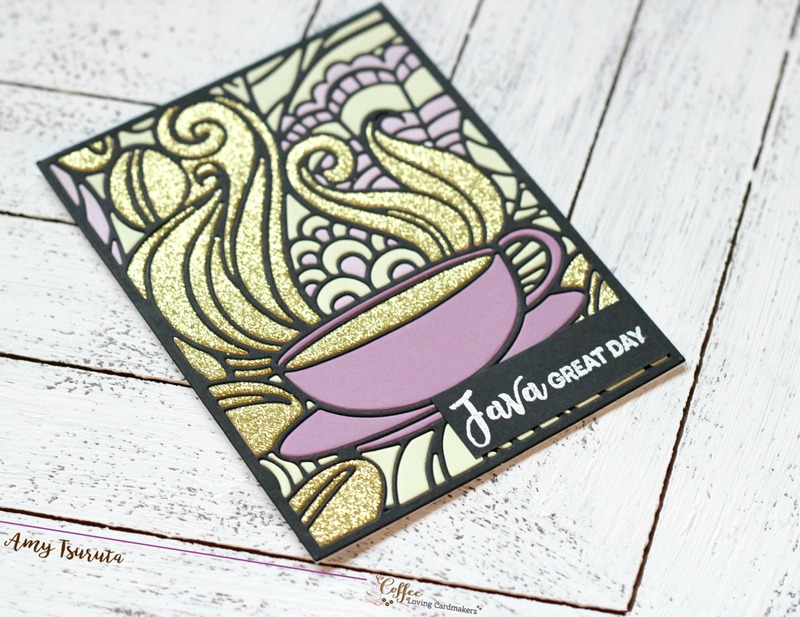 Glittery Coffee = Yes, Please! I started off by cutting the panel in black, celedon, aubergine + lilac. 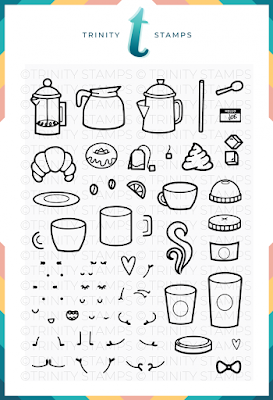 This designs a ton of adhesive and some fun puzzle work. The sentiment is from the Bloomin' Spring Coffee Basket. 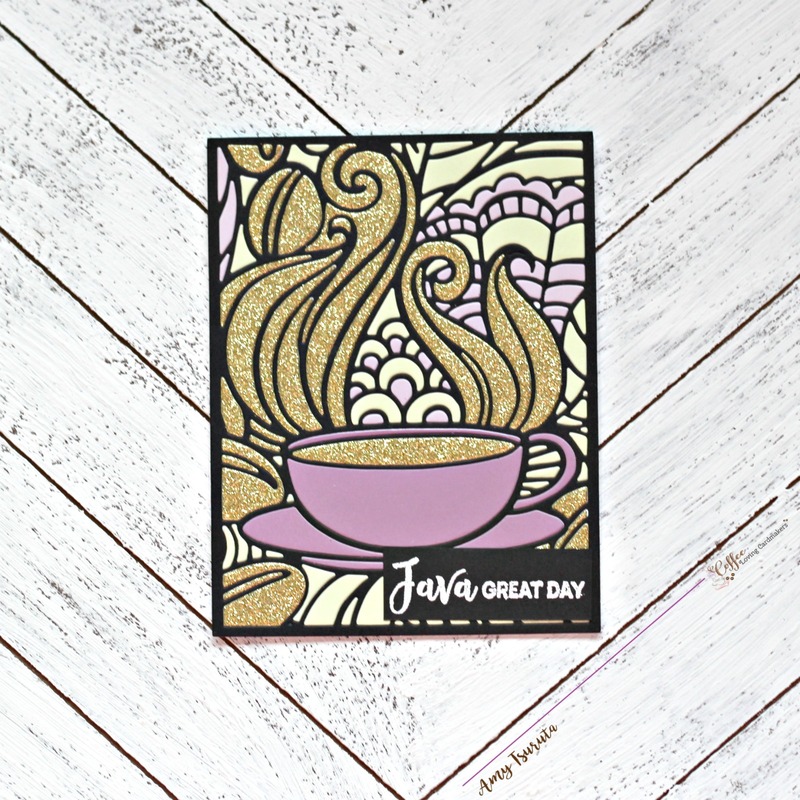 It has been heat embossed in white on black cardstock. 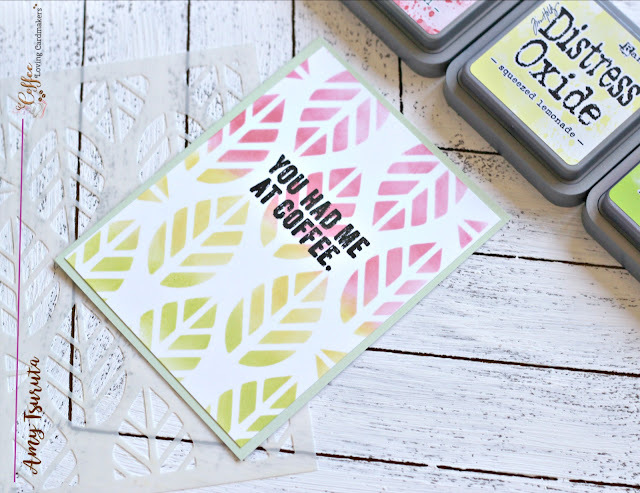 I just LOVE the Leaf Prints stencil! I easily inked it up with various Distress Oxide inks and a round ink blender. The Distress Oxides makes it so easy...I think they blend like butter. 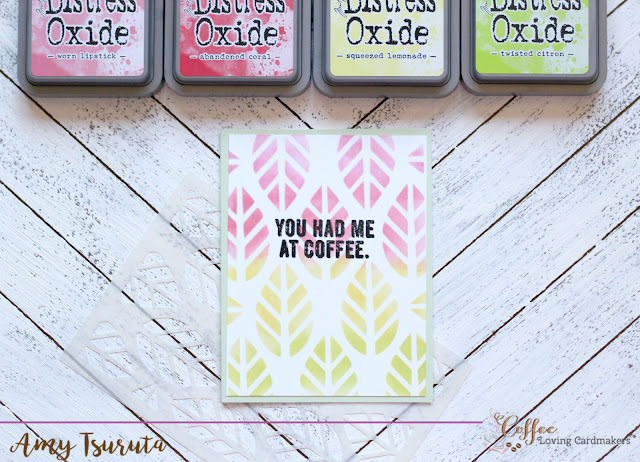 The distressed sentiment is from the After Coffee stamp set. Next up is Becca Cruger! 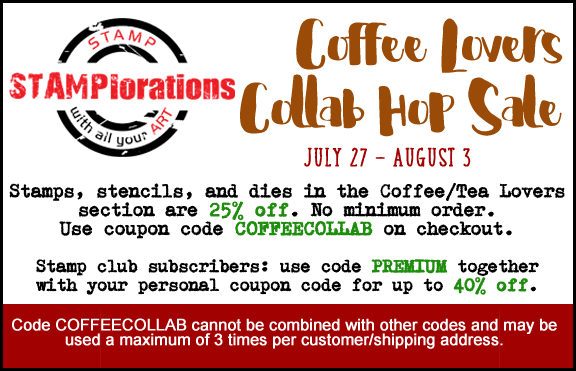 Remember to leave comments along the way for a chance to win a $25 STAMPlorations Gift Certificate! In case you get lost along the way, here's the complete hop listing! 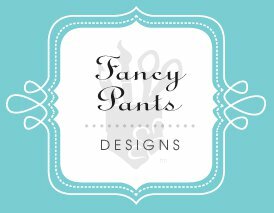 For all the details, please visit the Fancy Pants blog! Just like everywhere else in the US, it's full Summer time weather in the pacific northwest. The truth is, I don't like the warmer temps. I want our milder temps back! Anywho's, I thought a summer time design would be perfect for today. 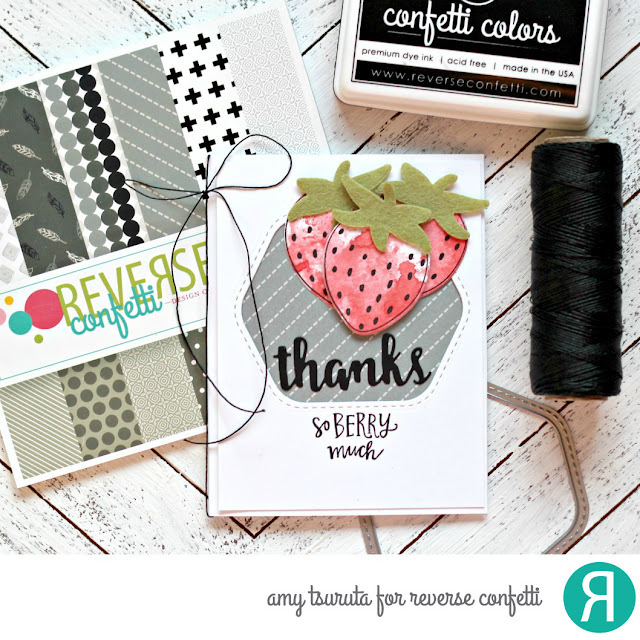 I inked up the Reverse Confetti Berry Sweet set. I could easily become a fruitarian. I love the stuff, I even had a bowl of cherries for dinner last night! So I was going to stamp out the strawberries on Salsa cardstock but decided to stamp the outline on watercolor paper and do the Distress Oxide smooshing technique. I love the free form watercoloring. The Hello and Thanks Label confetti cuts is a must have. 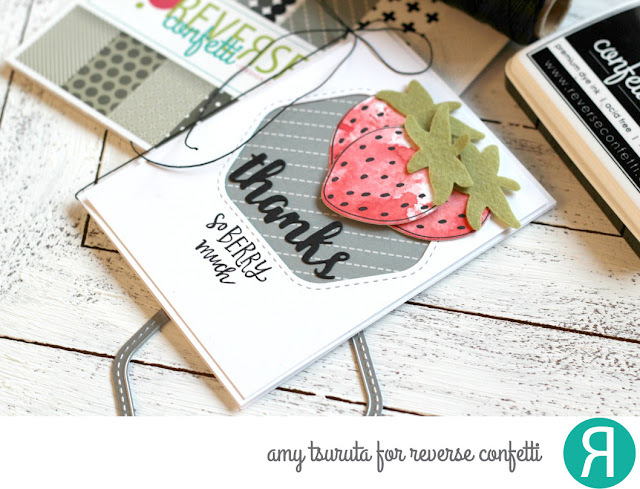 I love that stitched window and the thanks was perfect to team up with the sentiment from the Berry Sweet set. Just a smidge of masking to complete it. I love texture so decided to use green felt for the berry hull. 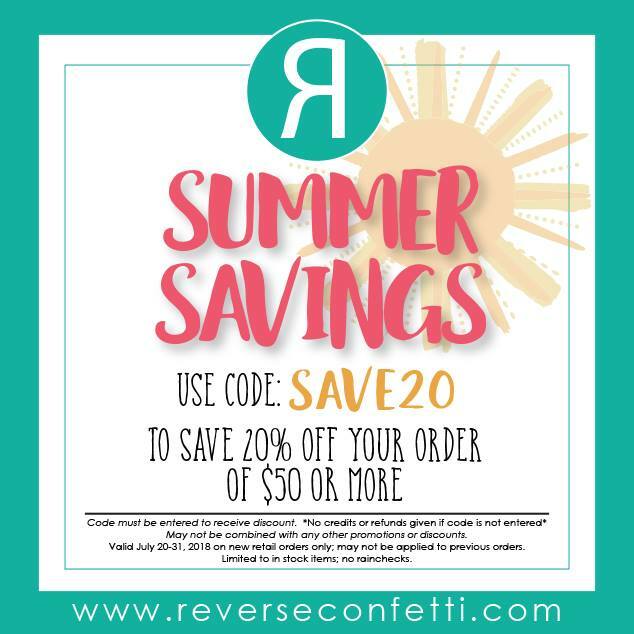 Don't forget about the Reverse Confetti SALE! WOW! 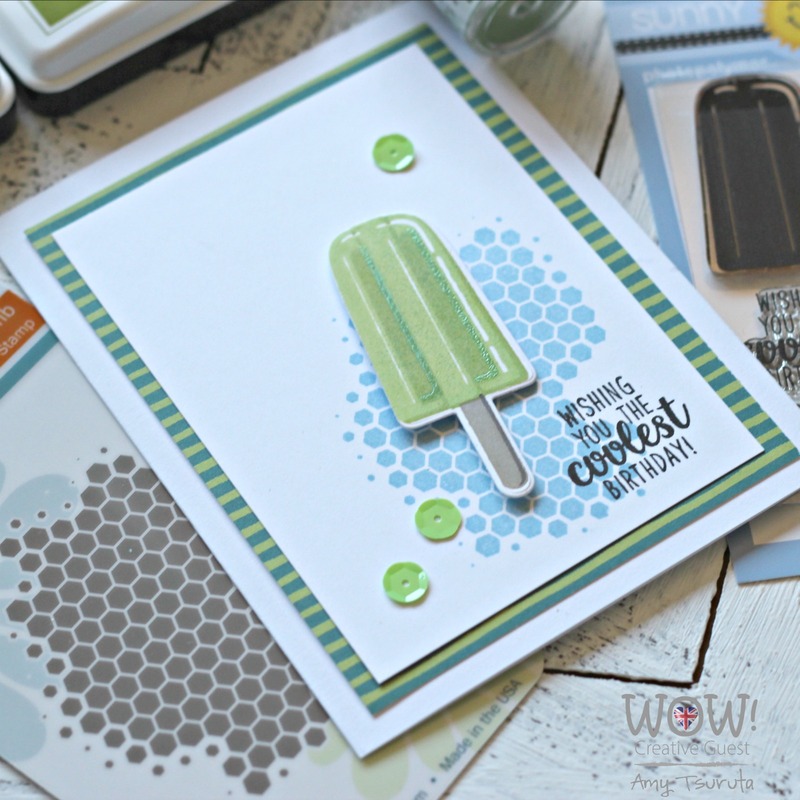 Embossing Powder Guest Designer | Coolest Birthday! My friends at WOW! 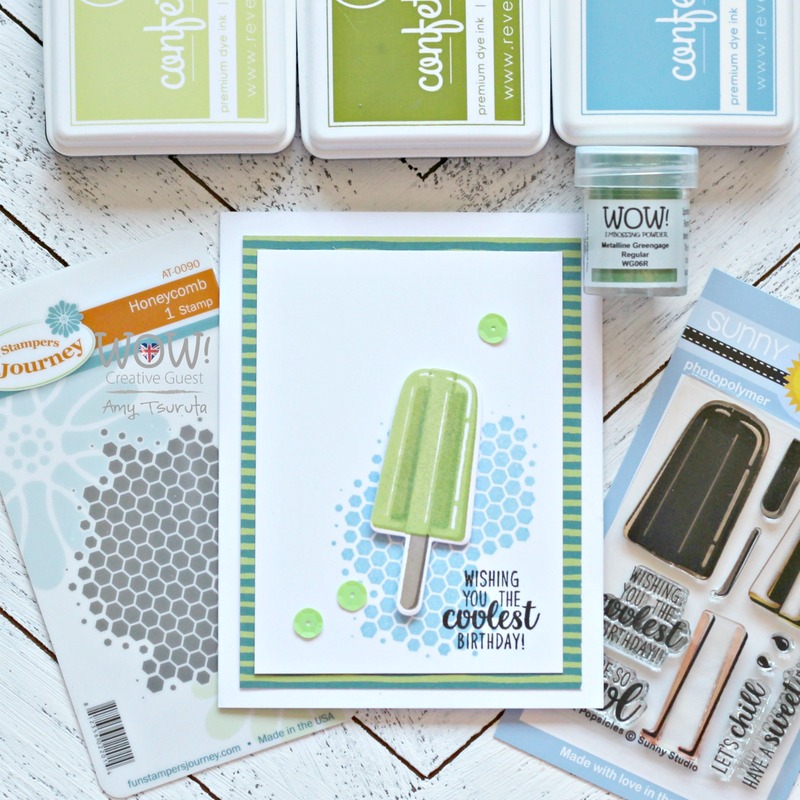 Embossing Powder sent me so many goodies to play with. I decided to work with the Metalline Greengage! Per the Wow! 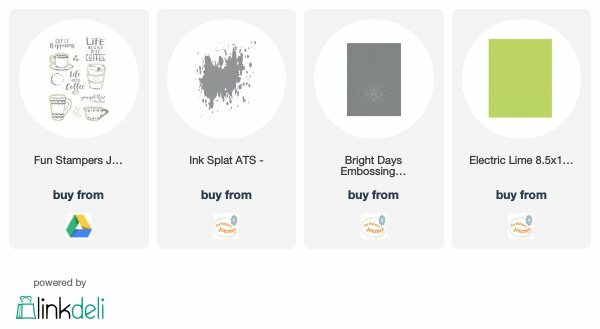 Embossing Powder site: the Metalline products are very strongly pigmented opaque lustre powders. The finished result is a beautiful deep colour that will not change with the colour underneath. 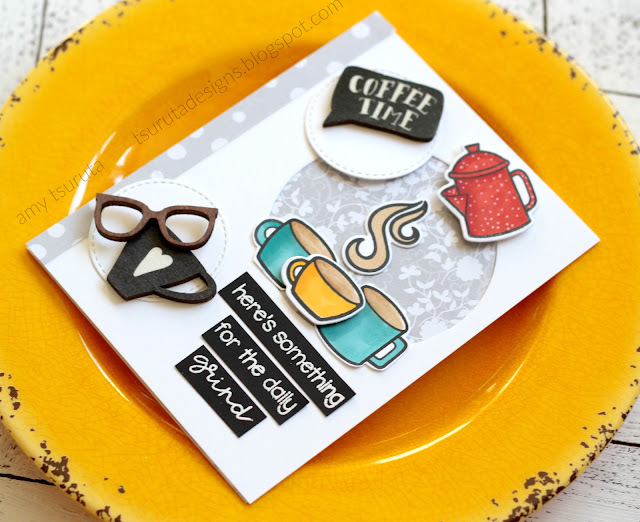 My last post, I concentrated on the basics with black and white embossing powders. 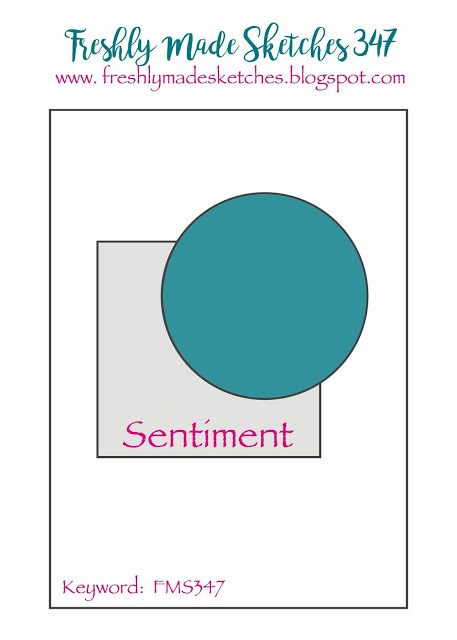 Today, I decided to focus on one metalline color as a POP to my card design...can you spot it? It's very subtle and I love it. 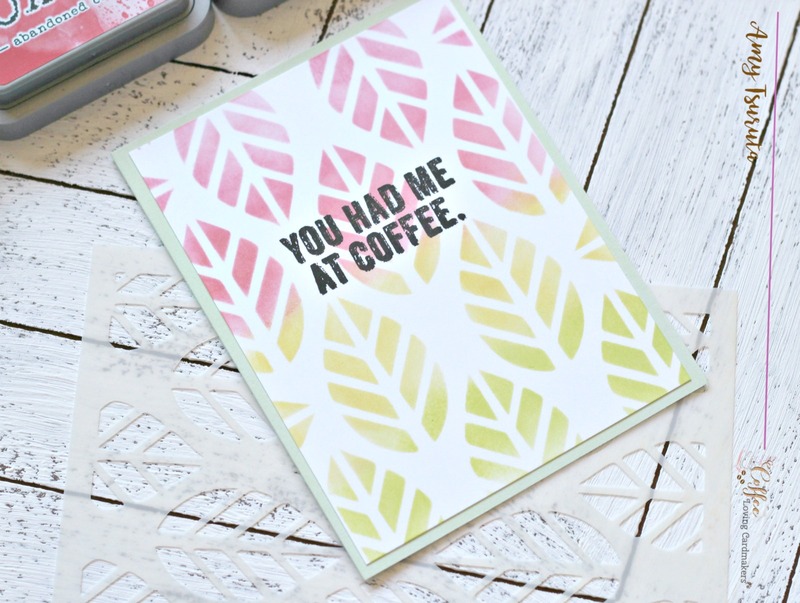 I'm a clean + crisp designer and this card makes me a happy crafter! 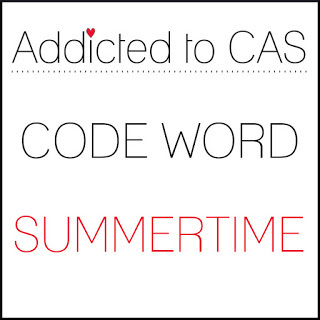 I'm linking up to the Addicted to CAS - Summertime Challenge! 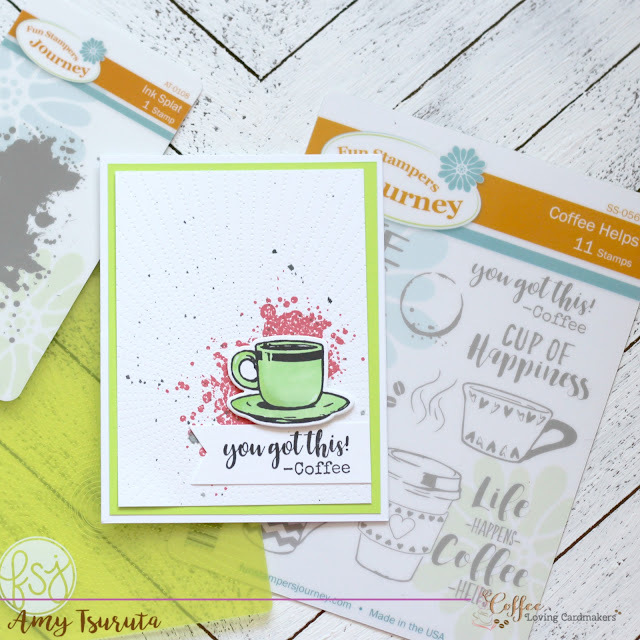 I'm up on the Coffee Loving Cardmaker's blog today sharing a project that uses some awesome goodies from Super Sponsor Fun Stampers Journey! 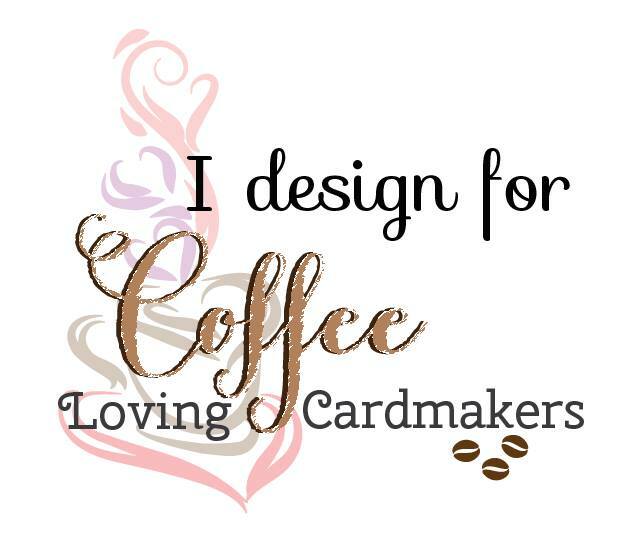 For all the details, please visit my post on the Coffee Loving Cardmaker's blog! 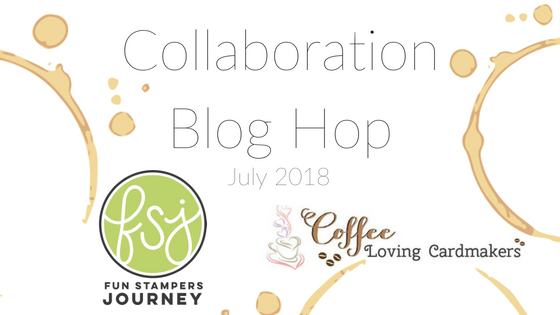 Don't forget about the Collaboration Hop that we're having with Fun Stampers Journey...comment for a chance to win! 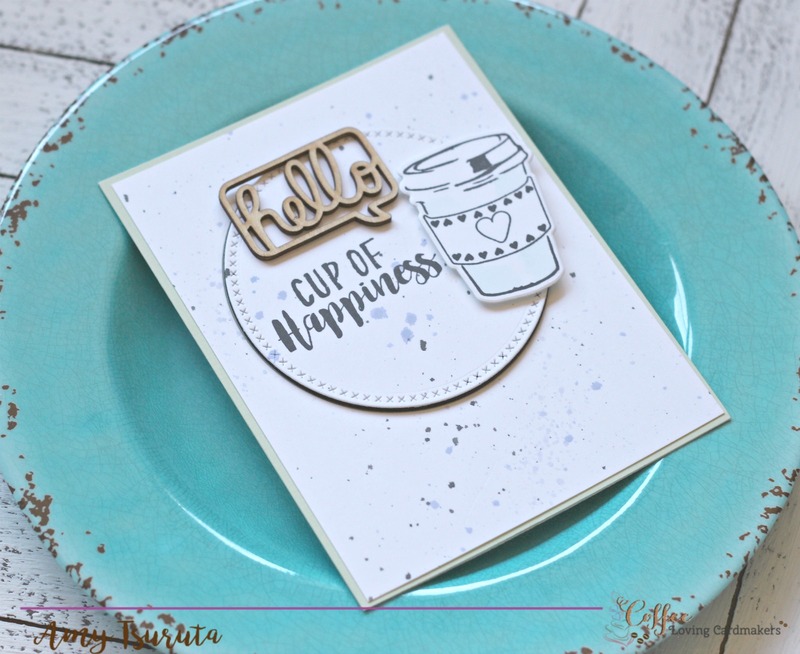 Everything starts on the Fun Stampers Journey Blog! Coffee Loving Cardmakers + Fun Stampers Journey Collaboration Hop! 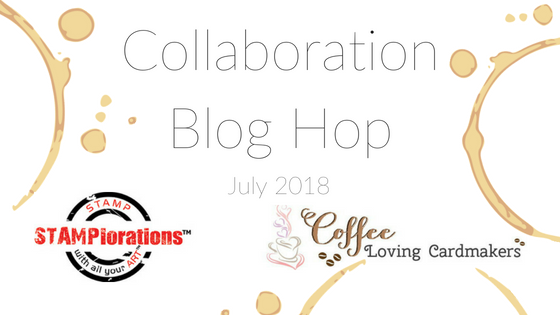 Hello and Welcome to the Fun Stampers Journey | Coffee Loving Cardmakers Collaboration Blog Hop! 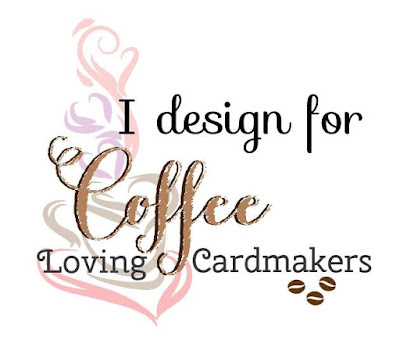 You should have arrived here from the Coffee Loving Cardmakers blog. 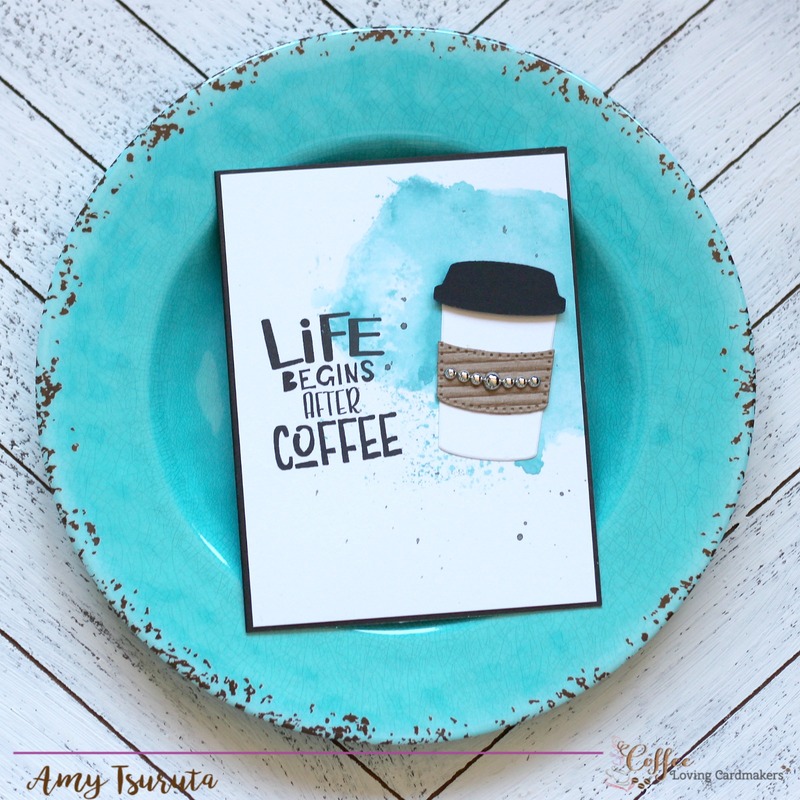 If not, you'll want to start at the beginning of the fun which is the Fun Stampers Journey Blog! I did a bit of watercoloring on my first card and some black flecks of paint. I love that big ole sentiment from the Coffee Helps stamp set. 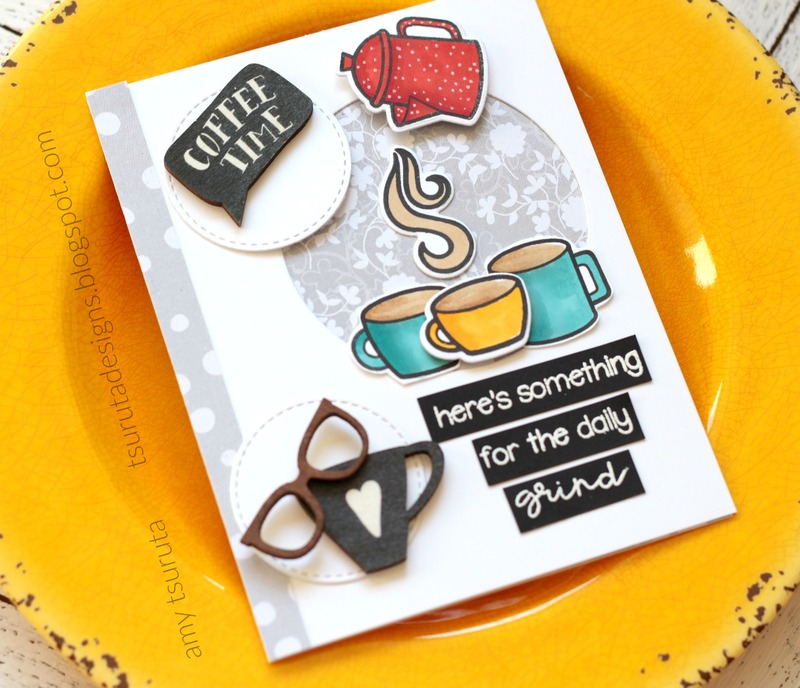 The To Go Cup is from the Coffee First Die Set. 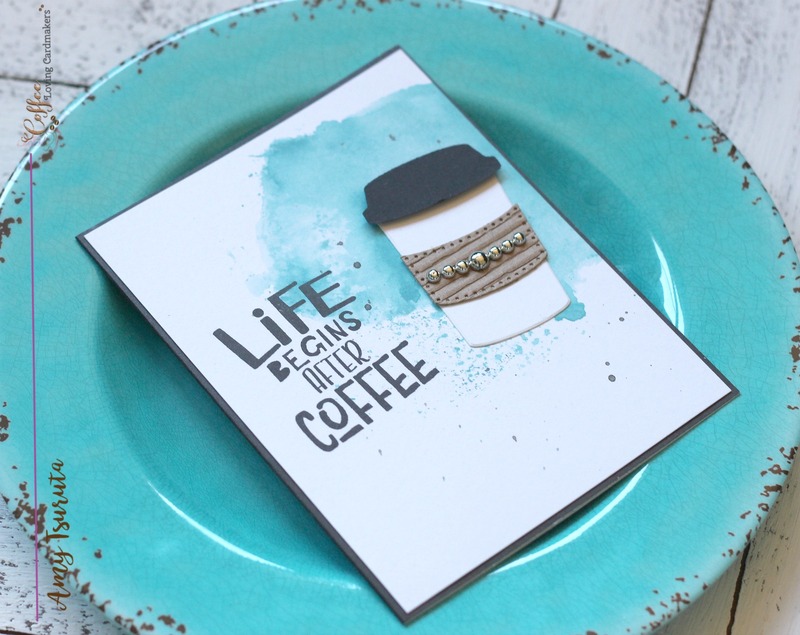 Love the added details on the coffee sleeve. 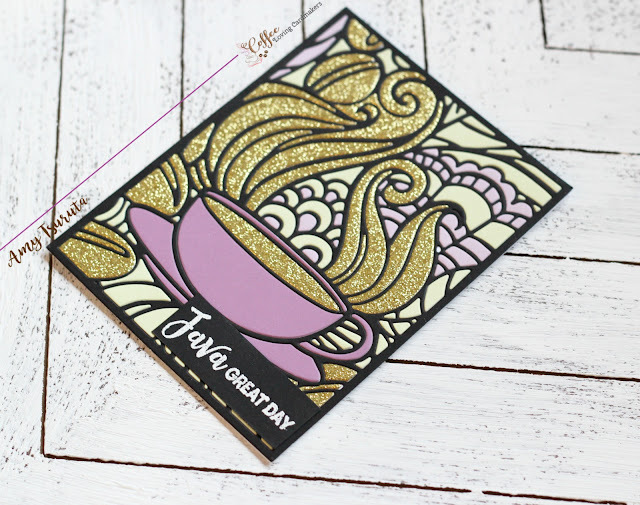 My second card features one of the cups from the Coffee Helps stamp set. Can you tell that I colored it in the palest aqua color? 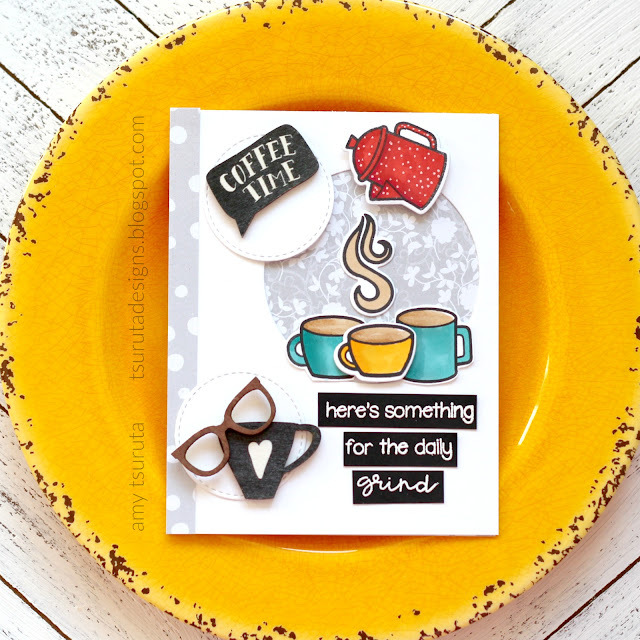 I added the fun Hello Word Bubble available via Fun Stampers journey. 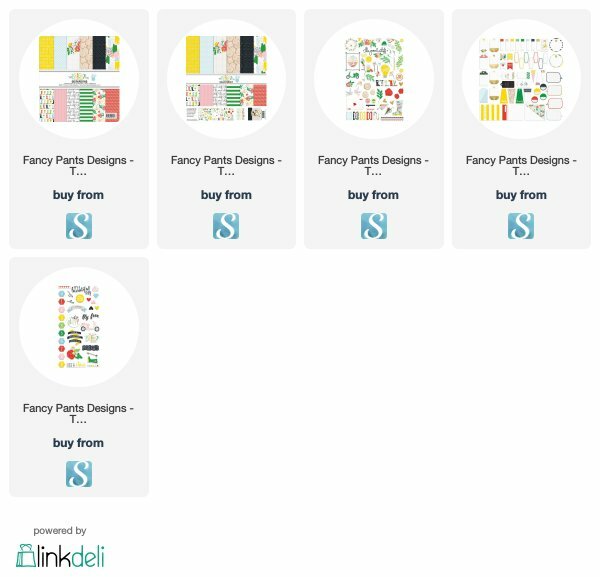 You can't readily tell that that circular panel has been backed with black cardstock so with a side view, it adds a bit more detail to the overall design. Next up is my teamie, Kerry Urbatch! 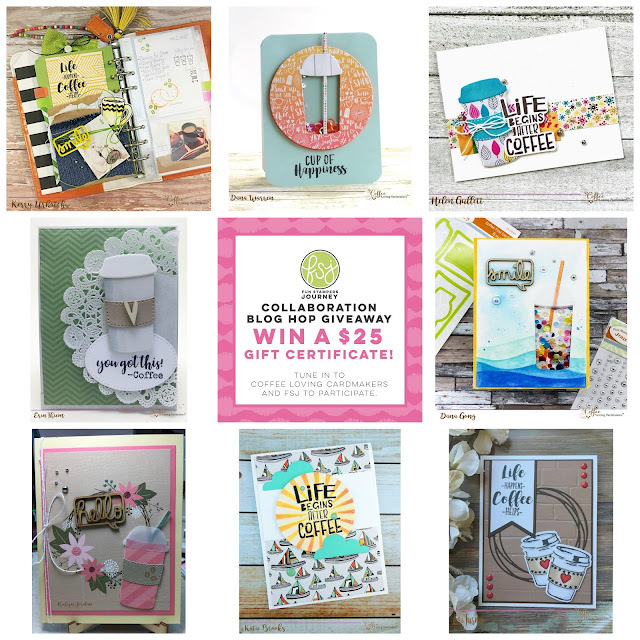 Remember to leave comments along the way for a chance to win!!!! My teamie Kerry is also doing a giveaway!